This was not how I wanted to return to posting. I was getting ready to write a post this weekend, and then I got the horrible news. Yesterday, BMX legend and all-around awesome guy Kevin Robinson died from a stroke. I’m gutted. Not only am I still dealing with the passing of Dave Mirra and more recently, Nicky Hayden (in additional to other losses), but I knew Kevin. He was one of the first action sports athletes I met, and my brother and I followed his career diligently for the past 17 years since we saw him pull off the first no-handed flair at the 2000 Gravity Games. In 2001, a BMX show took place near Fort Worth, and we begged my mom to take us and made posters. Kevin Robinson was the biggest name there so my brother made a sign that said, “Texas wants to see a flair”. I’m not sure if the photos my mom too are still around (I printed out a couple and saved the one below), but I’ll never forget my first action sports event. Then we got Pat Miller’s autograph. My mom saw Kevin talking to someone in the distance and actually yelled his name. I will be eternally mortified (because my mom knows nothing about BMX and I didn’t want to bother him) and grateful. He was super nice and even gave my brother advice on how to bunny hop. It was one of the best days of my life. Throughout the years, my mom would still ask us about Kevin when we watched the X Games. We cheered his record-breaking moments and victories and grew alarmed at his injuries. I was sad to learn that he retired before I could see him ride again, but I had always hoped to catch him at X Games Austin. Although that never happened, we did interact very briefly on social media a couple of times. He liked my posts and responded to a suggestion I had for his anti-bullying program. That brings me to one of the things I admired about him. Kevin was a great role model and philanthropist. He also was an advocate for traumatic brain injury research, having suffered many concussions and lost two friends (Junior Seau and Dave Mirra) to the tragic effects of chronic brain encephalitis. My current career is in TBI research, and I’m going to keep working hard so that maybe there will be a breakthrough in how to help riders recover and how to make things safer. My heart really goes out to his family. His social media was often filled with praises for the various accomplishments of his kids and love for his wife. I also feel for his BMX family, as he has mentored and inspired many riders. He inspired me too. 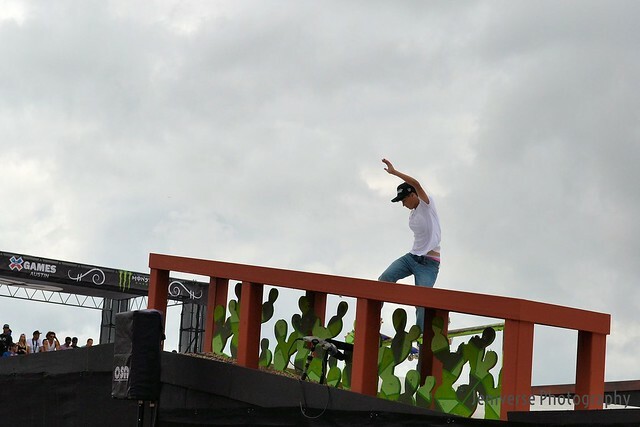 At X Games Austin 2016, he led a touching tribute to Dave Mirra. I know we’ll be paying tribute to him in a similar way, but in the meantime, we’ll have to take time to process this tragic loss. Ride in peace, K-Rob! Hello, anybody here? I know I meant to return earlier, but life and my mind had other plans. Blogging and photo editing just haven’t held my interest even with my favorite topics.s However, I’ve been meaning to tie up loose ends, and I am hoping that this will generate enough momentum to continue this blog. 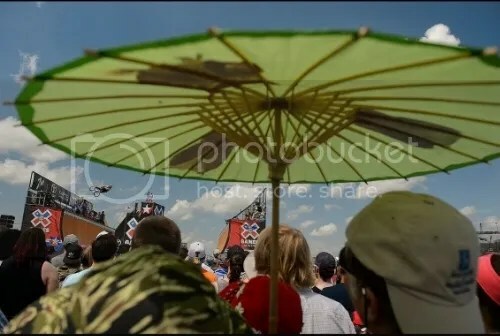 I’m just gonna step back from the X Games recaps and “awards” (especially since I can’t watch as easily) to cover some other aspects of action sports. 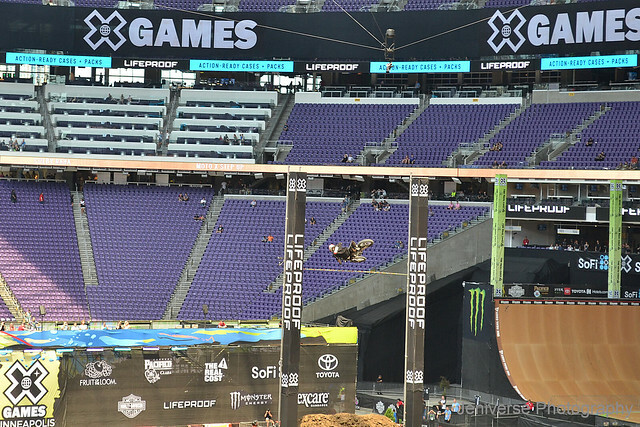 But loose ends first, you can revisit my previous X Games Austin 2016 recaps here and here. 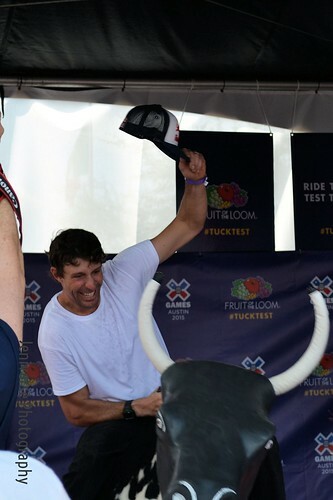 The last day of X Games Austin 2016 was bittersweet. We knew it was the last day for X Games to be in Austin (at least in the near future), and rather than ending on a high note, the weather decided to be jerky in a different way. 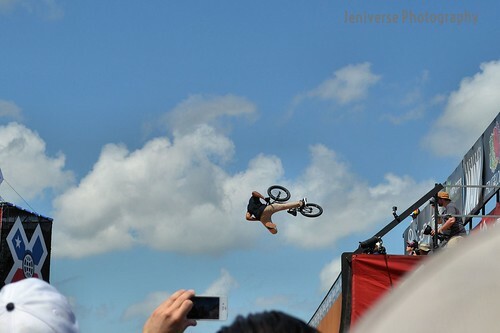 Despite the clear skies, the wind was too strong for Big Air. They waited to the last minute to make the announcement so you could tell that everybody wanted to make things work. 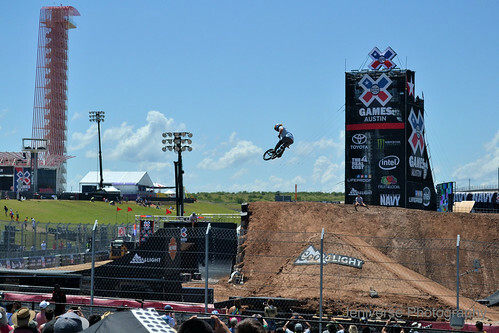 I know people are angry about cancellations and the end of X Games’ contract with COTA, but I would rather the athletes be safe and able to do what they came out to do. First runs were pretty solid for most of the guys. Second and third runs had them taking more risks. That led to TJ Ellis hurting his shoulder. 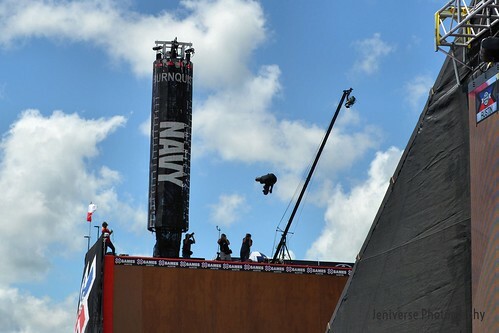 Mike “Hucker” Clark ran down the ramp to check on him. I thought that was pretty cool since it’s a long way down and he was up not too long afterward. See, Hucker did not run out of energy. Kyle Baldock went HUGE but crashed out at the end. The announcers kept mentioning how old Cory Nastazio is. It was supposed to emphasize what a legend he is, but it just sounded insulting. Kevin Peraza threw the sickest lawn-dart frontflip ever. Obviously I wasn’t expecting to go on hiatus again since I was in the middle of X Games Austin posts. It was a big snowball of work, other hobbies, politics, and yes, lack of motivation that kept me away. I’m looking to reignite the spark for blogging, and I’m gonna try to plow through these X Games posts (I may be skipping the 2017 winter events). 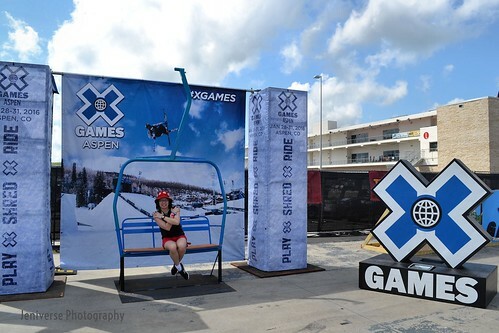 Just to refresh your memory, here was my previous post about the first two days of X Games Austin 2016. Saturday was a supposed to have been a busy day, but the weather had other plans. The rain kept coming and going so events got moved to later in day or postponed until Sunday. With how frustrated I felt as a spectator, I can only imagine how much worse it was for the athletes. 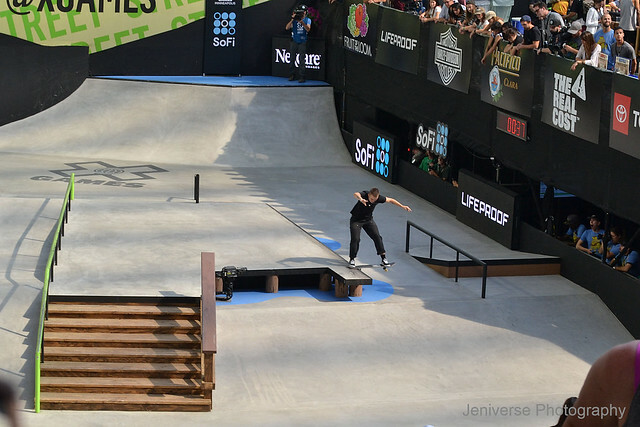 I didn’t get to catch much of women’s skate street because it started pouring shortly after the comp began. Also, due to the raised stage, I couldn’t get a good view of the rails without going onto the grass (which I’m allergic to). It was cool seeing some of the women, especially Mariah Duran, help clean up the course later on in the replay. They at least were in good spirits. Later I learned that the spines on the fake cacti were actual screws. Are they trying to make this more dangerous?! 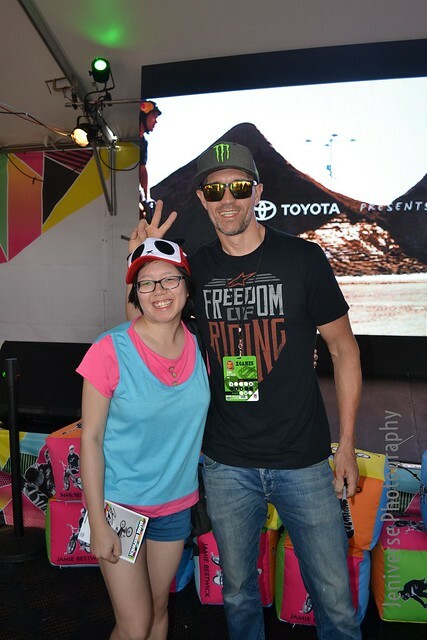 The one upside to the rain was that while seeking shelter, I was able to meet Jamie Bestwick and get his autograph. He really likes Austin so he was bummed that this was the last year (and he didn’t fault me for missing BMX Vert this year). Unlike many of my fellow Dallasites, going to the State Fair of Texas was never a tradition of mine. 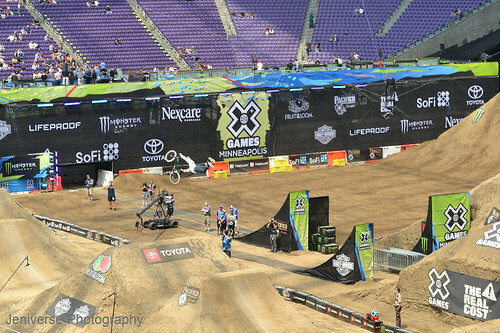 Then I discovered that Big Time Actionsports put on a BMX show every year. This time I went on a weekend so I had to fight the crowds. I planted myself in front of the open loop transfer with the hope of getting a sick shot, but that was easier said than done. The position wasn’t ideal for anything else so I didn’t get many photos. It was a great learning experience for photography (especially since my settings weren’t good either).